“You should share more examples of how others are using Slido. We’d love to read about that.” This was feedback from one of our customers recently. 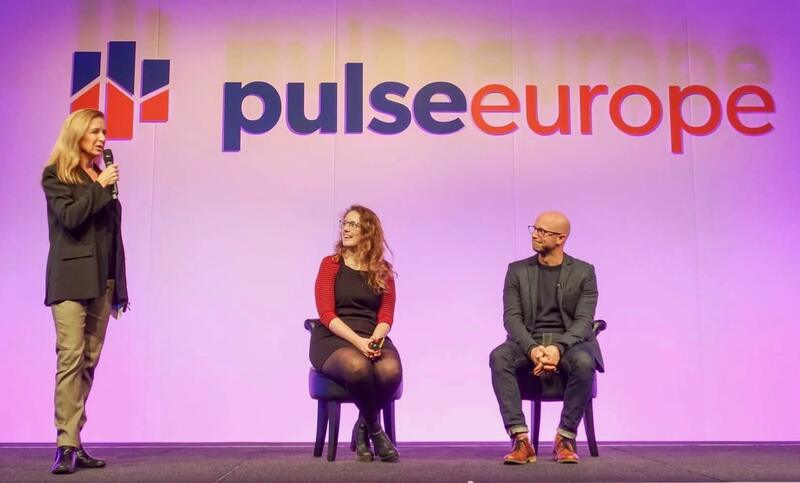 It was perfectly timed as we witnessed a brilliant session format at Pulse Europe by Gainsight in London earlier this month. It had it all: audience voting, dynamic presentations and an inclusive Q&A. All accomplished in 40 min and without a hint of rush. They used the format multiple times over the course of the two-day event. 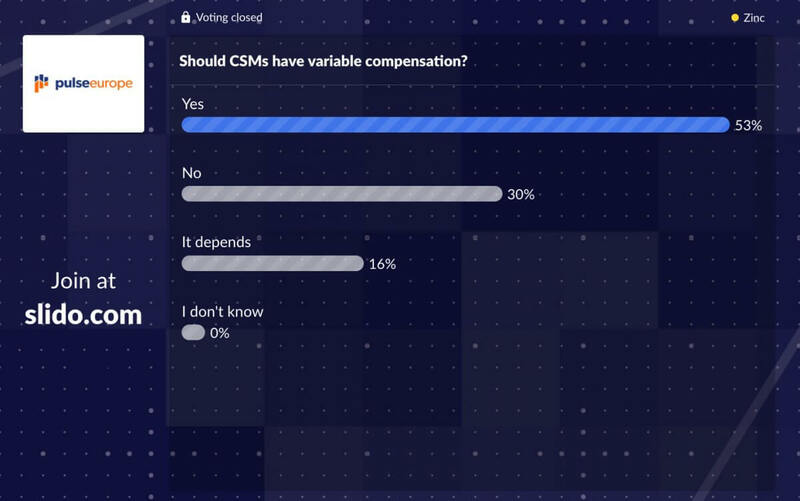 But let me use the session called Variable Compensation for Customer Success Managers as an example to describe how it worked. It was joined by Jonny Davies from Brandwatch, our very own Jo Massie and facilitated by brilliant moderator Elaine Cleary, Customer Success Director at Gainsight. The session started with a poll. The point was to gauge the audience position on the topic that the speakers had to oppose or defend. 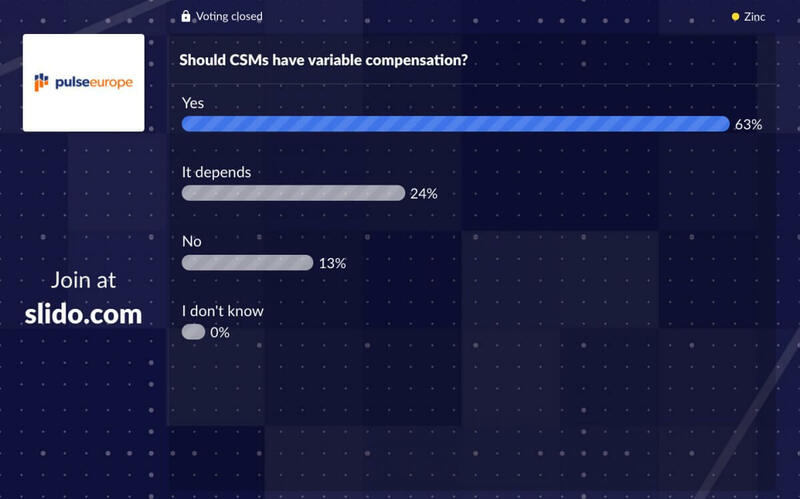 Moderator Elaine introduced the topic, presented the question ‘Should Customer Success Managers have variable compensation?’ and got the audience members to express their opinion by picking one of the options. This way, Elaine made the participants a part of the session right from the start. The results were a stepping-stone to the debate that followed. First, Jonny took the stage and presented his arguments supporting the variable compensation for customer success managers, giving concrete examples of how their team does things at Brandwatch. Then it was time for Jo to refute Jonny’s position, arguing against the variable salary and presenting the benefits of fixed compensation. Each of the presentations lasted approximately 7 min. They were brisk, to the point, and very concrete. The fact that the speakers were on the opposite ends of the opinion spectrum created healthy tension that resulted in dozens of questions flowing in. By the time the presentations finished, the audience had already submitted plenty of questions (35 in total at the end of the session). Elaine joined Jonny and Jo onstage and passed them the most upvoted questions so they could argue further in support of their respective positions. The Q&A part was fully run on audience questions. Elaine did a brilliant job rearticulating them for the speakers so they could provide relevant answers to the crowd. To conclude the session, Elaine ran the second poll to measure the shift in opinion. She asked the audience to vote again based on what they had heard from the speakers. Not only did the promise of a second voting keep the participants tuned in, but it also brought in competitiveness among the presenters and motivated them to do their best. As event planners, this is what we want – to bring the most relevant content possible in the most engaging form to our audience.